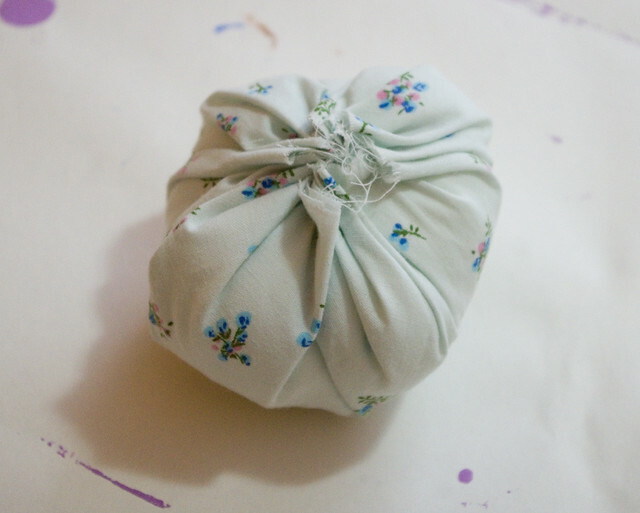 My kids are learning to sew, so I thought that it was time that they had pincushions of their own. 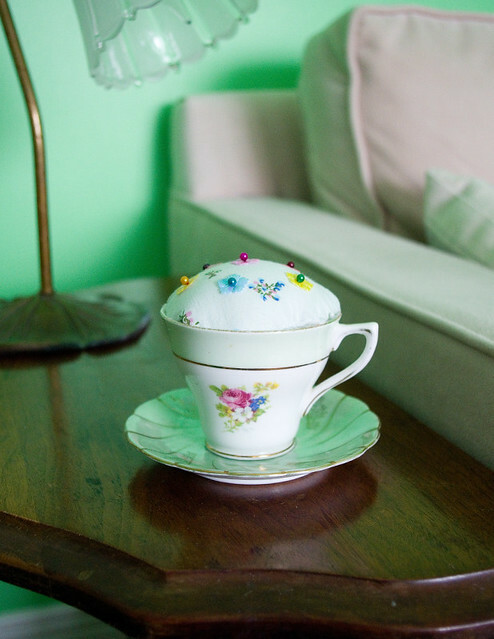 I’ve seen teacup pin cushions around at flea markets and craft fairs, so I thought we’d make a go of whipping up some of our own. 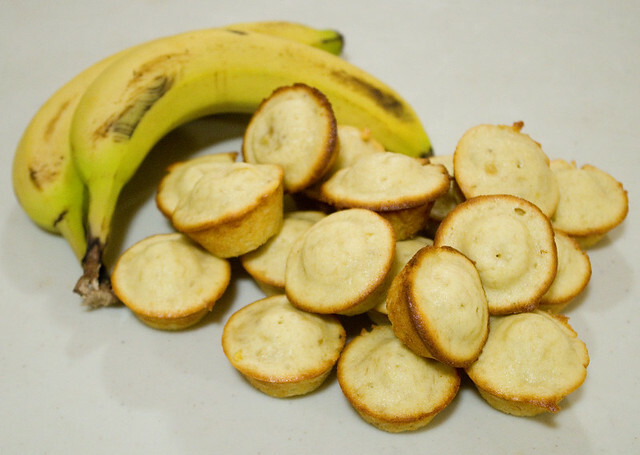 They’re really easy and right up the kids’ alwy, patience-wise. 1. 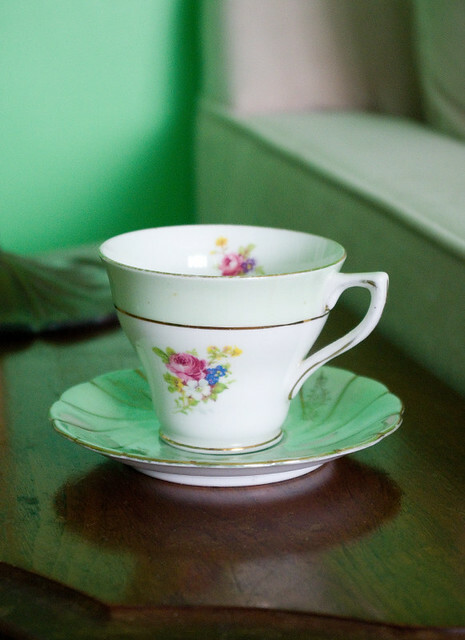 It all starts with a teacup — but none of Grandma’s fine china! We bought ours for about $2.00 at a local charity thrift shoppe. If you’re not into tea, a coffee or espresso cup works well, or an egg cup, or even a sake glass. 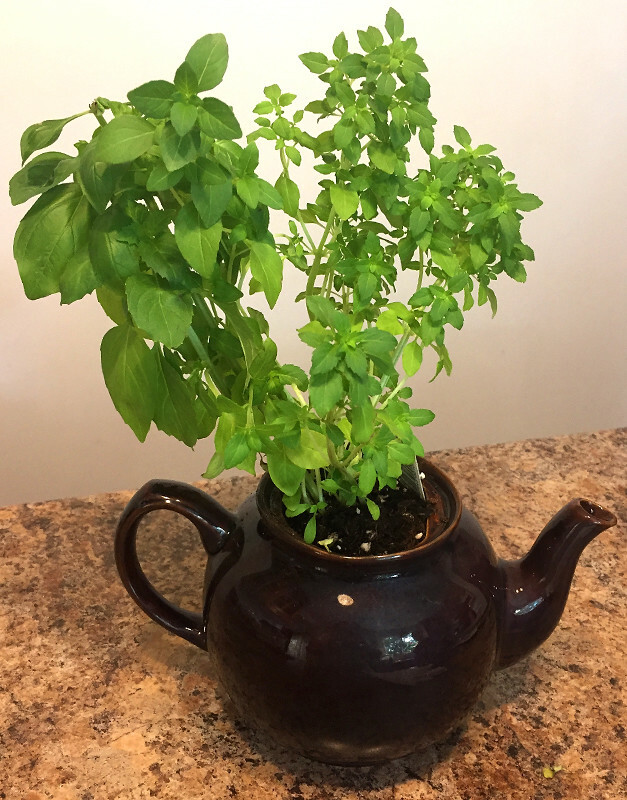 We even made one using a miniature terracotta pot (picked up for about $0.75 at a gardening supply store). Basically, it has to be an opaque container that you like the looks of that’s about the size of an old teacup, or smaller. You will also need to pick out a piece of coordinating fabric that’s about three times as wide as the mouth of your vessel. 1.B. OPTIONAL STEP: If you’re very crafty, you can embroider a design on your fabric at this stage. 2. 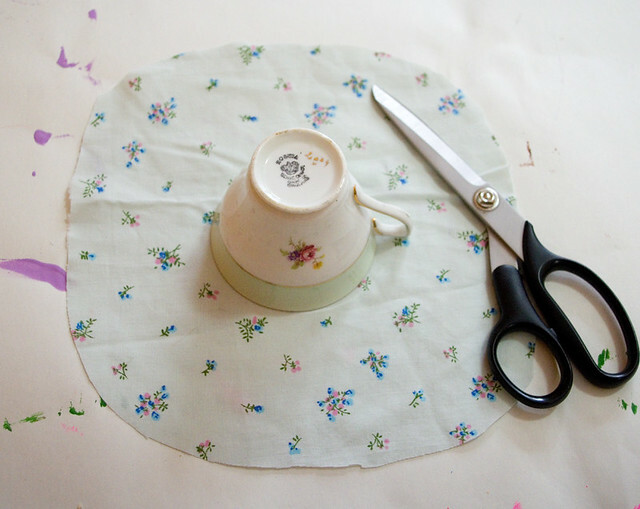 Using a pair of fabric scissors, cut your fabric into a circle about three times as wide as the opening of your teacup. It doesn’t have to be perfect, since this end will be hidden inside the bottom of the cup where nobody will ever see it. 3. Using a running stitch, stitch around the outside edge of the circle, about 1cm from the edge. Use a sturdy thread, but don’t worry about the colour, since this will be hidden as well. 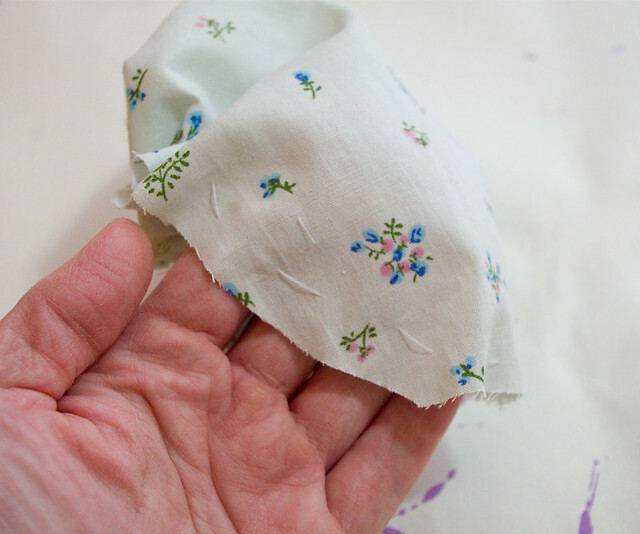 Tie a knot at each end of the thread, but do not stitch that knot into the fabric. 4. Making sure that the fabric is inside-right, pull the thread taut to gather the fabric, but do not tie a knot. This will make a little pouch. 5. Stuff the pouch firmly with fiberfill. 6. 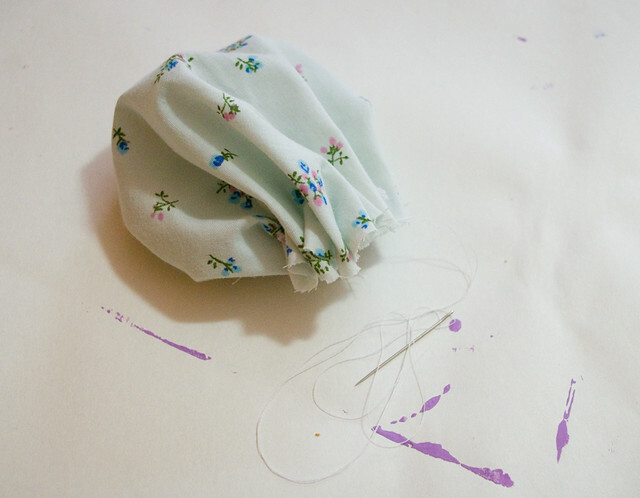 Draw the thread as taut as possible and tie it off securely. This will create a small cushion. 7. Stuff the cushion into the teacup, making sure that the end with the stitching and the gathering is at the bottom of the cup. 8. 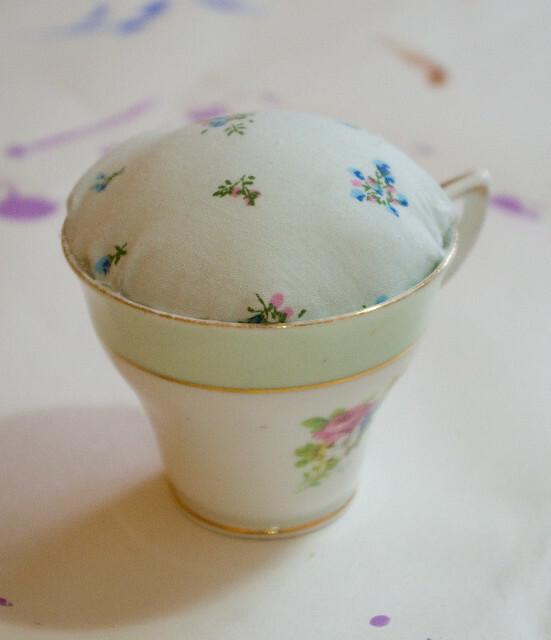 Affix the cushion inside the cup using hot glue. I found that I got the neatest results by pushing the fabric down below the edge of the cup, and then running a bead of hot glue quickly about 0.5cm lower than the edge of the cup. Then I carefully released pressure on the cushion until it sat at the height I wanted, holding it in place while the glue dried. Otherwise, the cushion kept trying to puff much too far out of the cup. 9.B. 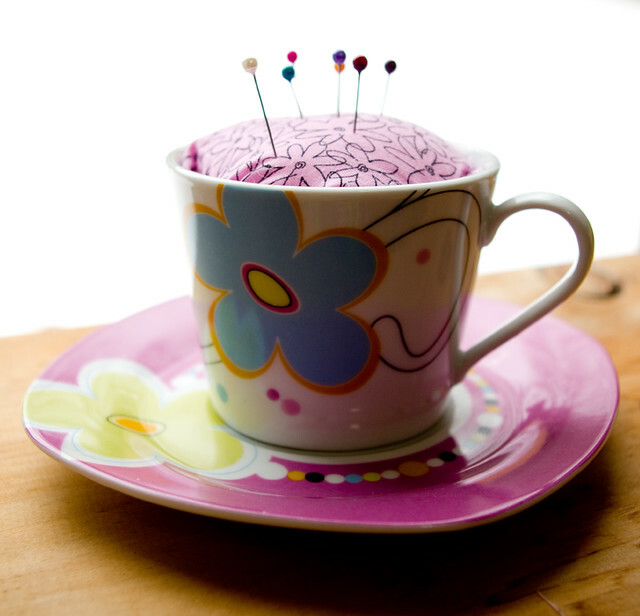 OPTIONAL STEP: Using hot glue or by sewing, decorate the pin cushion. You can add a border of ribbon or trim around the edge of the cup to conceal the glue. 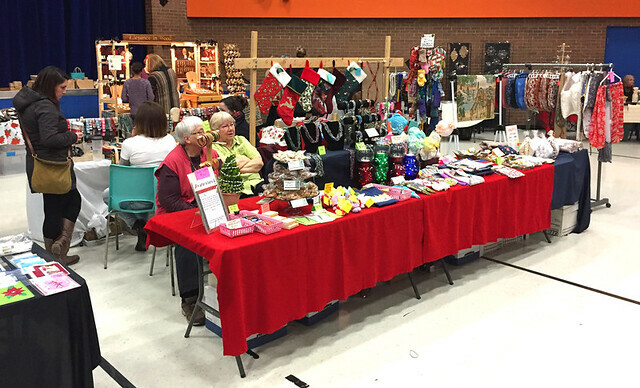 Buttons, lace, small pompoms, googly eyes, felt cutouts, silk flowers… If you’re so inclined, this is a great time to be creative. As for our last March Break craft, Thing 2 went with a more contemporary look. Whereas I made mine in a little flower pot. I created the floral element by sticking sewing pins through little fabric flowers bought in a confetti-like pack from the dollar store. 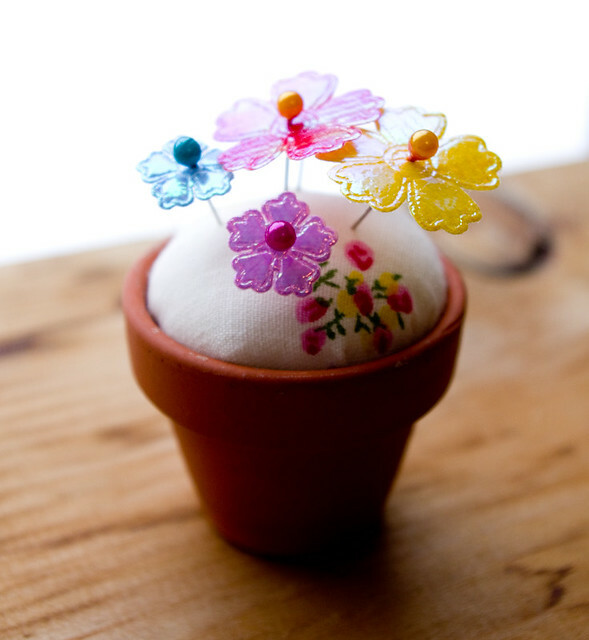 And Thing 1 used the fabric flowers slightly differently, pinning them into place with her pincushion’s pins. I got a box of old kitchenware to go through recently, and at the bottom of that box was a vintage (1976, if I’m reading the label right) whistling tea kettle. 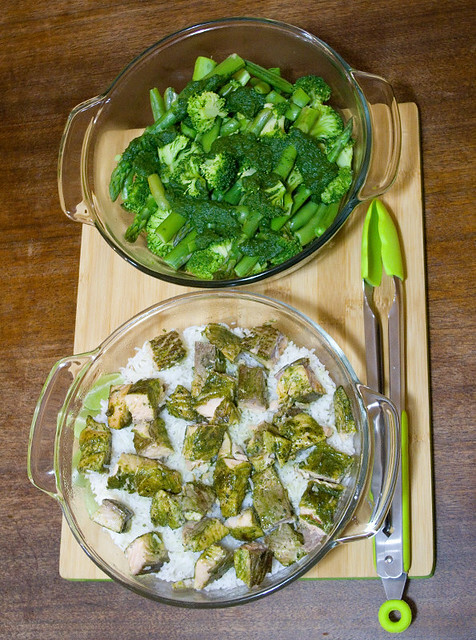 I gave it a scrub and put it on the stove to boil some water to clean the inside, and I was struck by how at home it looked there. I mean, obviously it belongs on a stove, but how much it fit in with my idea of home. 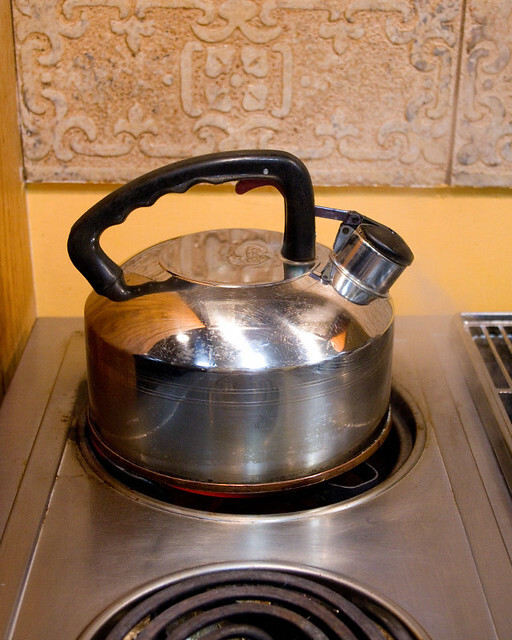 When I was really little, we had a kettle similar to this one but without the whistle. Apparently at one point my father forgot that it was on the stove and left the room, and the kettle boiled dry and then melted. So my mom bought a kettle with a whistle as a replacement. This kettle (or ones like it, since they do sometimes develop leaks) lasted for some years until my father filled the kettle, put it on the stove, and then went out to the garage for some reason. The kettle screamed away until it was boiled dry, and then it too melted down. Exasperated, my mother went out to the store and bought an electric kettle with an automatic shut-off. Dad, being a creature of habit, soon filled the brand new plastic kettle and put it on the stove, then turned the burner on. He didn’t leave the room this time, but he didn’t notice the mistake he’d made until the plastic melted. Don’t ask me how he didn’t smell it. Since then, my parents have bought other kettles, all of which live on a counter that’s not near the stove and all of which are totally different shapes than the whistling kettles that I remember them having as a child. Dad learned his lesson, we hope, and has not melted a kettle since, and never will again, knock on wood. Despite the kettle saga, to me the “proper” kind is a stainless-steel whistling kettle that just covers the larger burner rings. The kettle singing is a cue that I am home, and Mom and Dad are home, and things can’t be all that bad because someone is making tea. 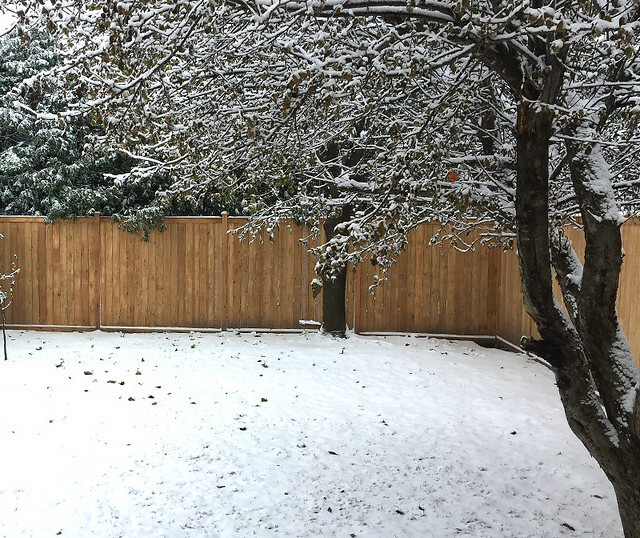 Many of my friends and family bemoaned the precipitation and freezing temperatures, but I always like a bit of snow before Christmas. A green Christmas just isn’t very Christmas-y to me. That being said, it’s supposed to go up to 9°C (48.2°F) on Tuesday, so it’s not like this is going to last. It really put me in the mood for Christmas shopping, though. Unlike in the States, where the holiday buying season appears to officially start as soon as the clocks strike midnight the day after American Thanksgiving, we don’t really have a traditional time to begin. Some people shop all year ’round. Some companies put out their Christmas merchandise at the same time as they’re building their Halloween displays (which is a little early to me, but oh well). 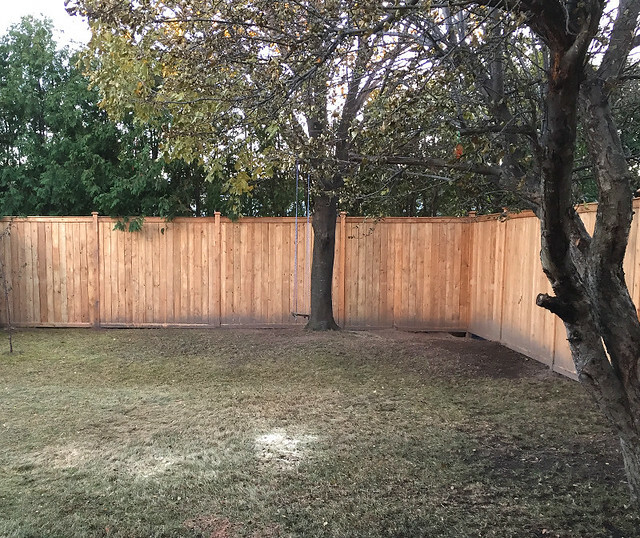 For me, all of the Halloween debris has to be cleared away and there has to be some snow on the ground for me to feel like shopping for gifts — although I have been known to pick things up six months in advance if the opportunity arises at a great price. 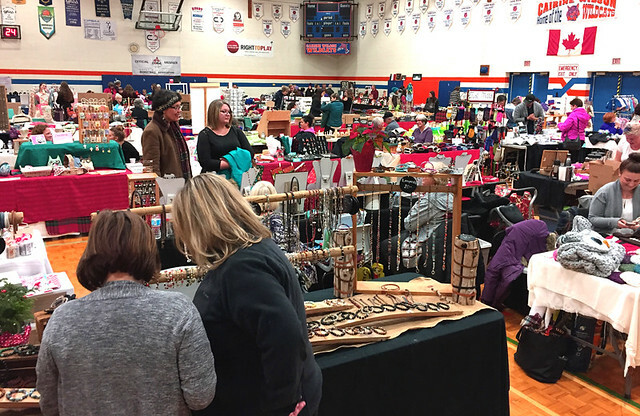 I went with my mother, Thing 1, and Thing 2 to a number of craft fairs on Saturday, but one of my perennial favourites was the one held at Cairine Wilson High School. It’s a huge fair; it packs full the big gym, the little gym, the hallways, and the cafeteria. Given the number of booths, I’m bound to find something that I know someone will like. But even if I don’t find the perfect gift for someone, it’s a lot of fun to check out the wares of local craftspeople. 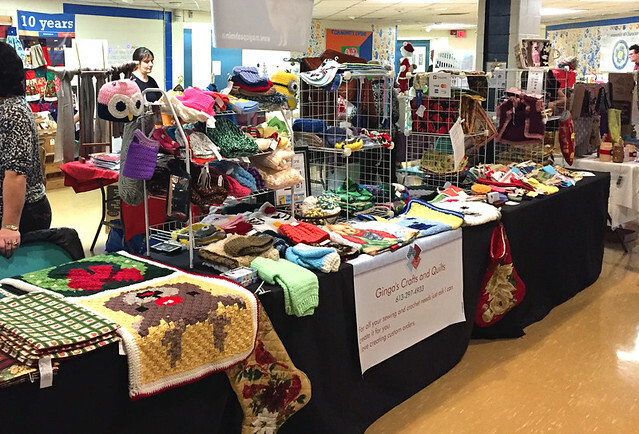 This is one of the few times of year that a lot of these people make their work available to the public; many craftspeople work all year by themselves to make enough stock for one or two holiday shows. 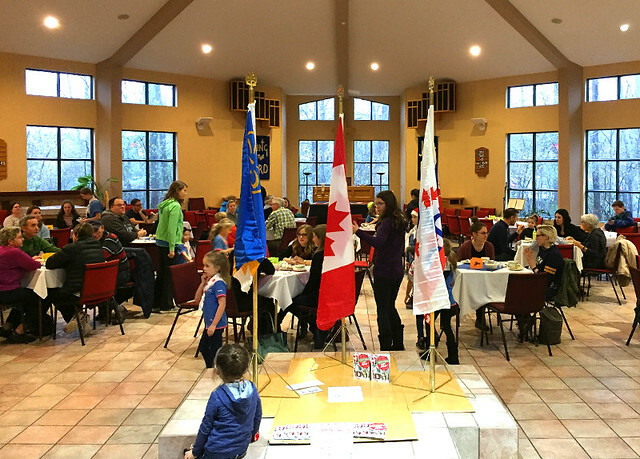 After hitting a few craft fairs, we rushed home so that the kids could get changed into their uniforms and we could drive out to Epiphany Anglican Church where the Girl Guides’ Holiday Tea is held every year. Since I’d gone to all of the effort of baking brownies for the tea, I pretty much had to attend. 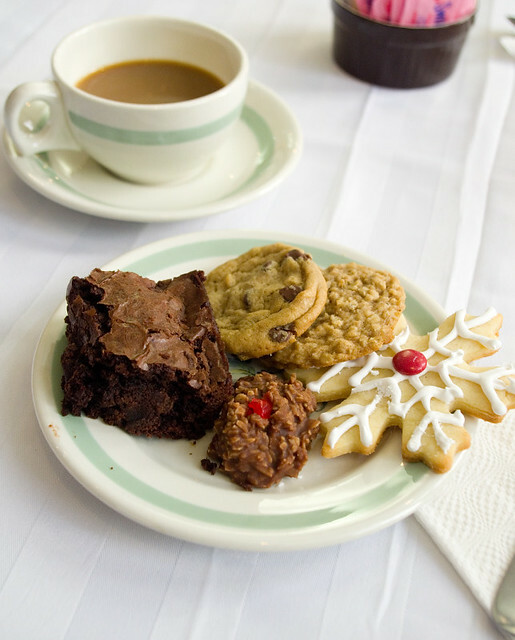 It’s always a lovely time, with such cheerful little servers and so many delicious treats on which to nosh. 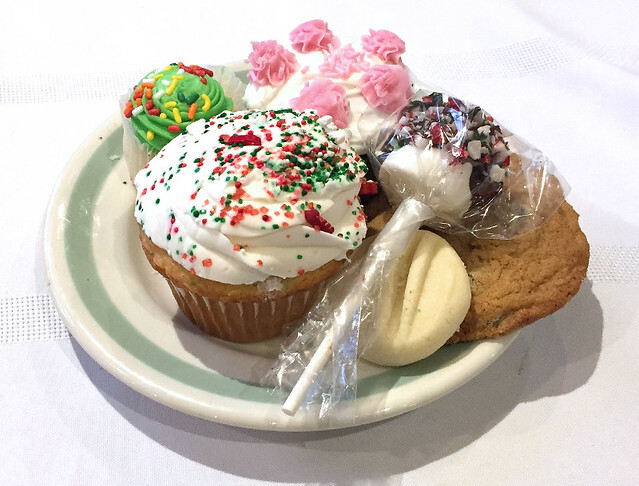 I may have kind of taken a picture of some of the sweets for our table after I’d already nabbed the chocolate ones. Just maybe. I think that the next to go was that shortbread on the bottom right, since I’m a sucker for those too.